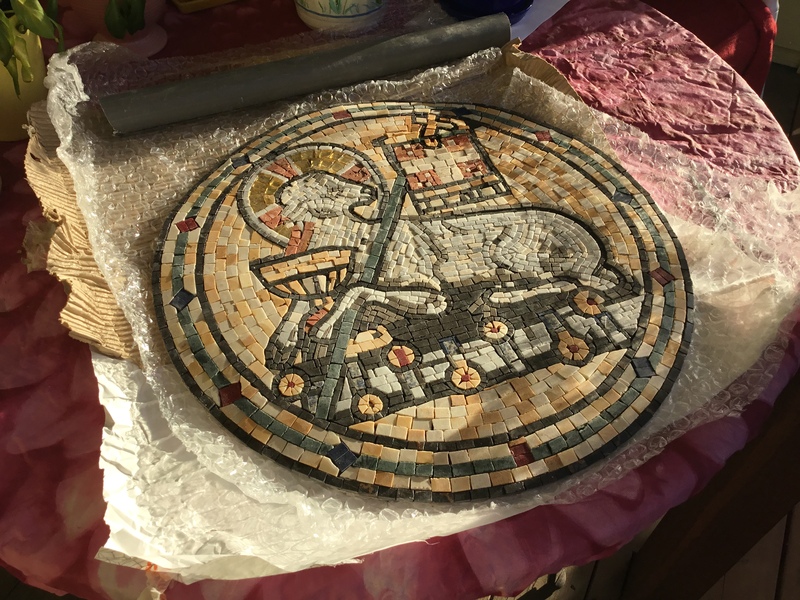 Lamb of God a fully handcrafted mosaic medallion reproduction that appears in the Gospel of John. Do you like to see how Mosaic Art - Lamb of God looks on your wall? I purchased for friends birthdy. Arrived in plenty of time. He loves it and so did I. The work so delicate and when the sun shine on it wow. Thank you for helping me give the perfect gift .